When we think about public security, we often think about the police, the military, or perhaps about border guards or the criminal courts. But security is often pursued in cooperation with a variety of public and private actors, enlisted by state security actors to reinforce their legal and operational capacities, while providing them with enhanced maneuverability and reduced accountability. I suggest asking – how are these relations formed, and to what end? ‘What we have here is a widespread joint policing activity of all different authorities’ […] ‘including enforcement agencies which are totally not related to the police: the Tax Authority, the Municipal Water Authority, all those things. We want to create leverage that would ultimately make things quiet. We will enter from this alley, we will enter from that alley, climb from above, descend from below, we will come through several dimensions and deal as much as possible with these outlaws’. 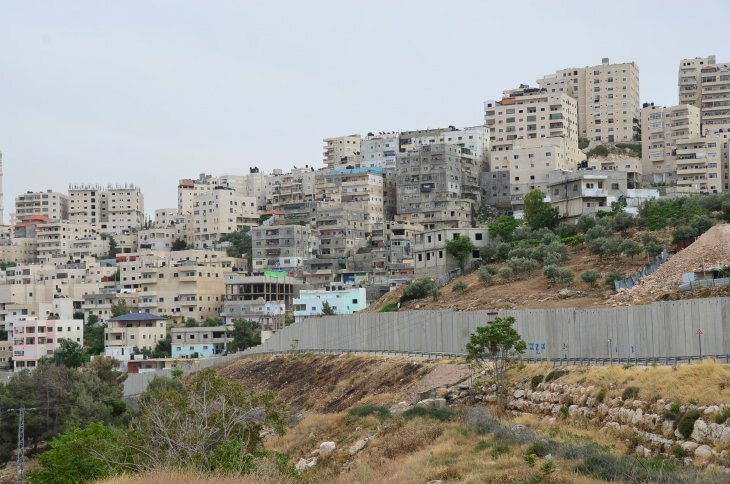 In a recent article published in Security Dialogue, I examine the relations formed between state security actors and the public or private actors they enlist, through several examples of security pluralization in East Jerusalem. In the article, I delve into the relations between the police and other social, regulatory or public utility bodies such as the Jerusalem municipality, the National Parks Authority, the local water corporation and the National Insurance Institute. I look at how, through the legal, financial and labor capacities offered by these actors, Israeli state security actors were able to pursue controversial policies such as blacklisting, collective punitive measures and placing restrictions on urban development in a manner that distinguishes between residents worthy of enhanced protection, and those designated as security threats. I propose to think of these emerging relations as modular security: when state security actors can enlist, deploy, instruct entwine, detach and withdraw public and private actors, performances, and technologies if and when the need arises. I continue to identify three features of urban modular security provisions: the heterogeneity of its public and private components, the development of reserved security capacities, and differential performances and practices towards the residents of the city. The pluralization and privatization of security in East Jerusalem resembles other cases worldwide. From European pluralized anti-radicalisation programmes, through to privately-run prisons in the US and public-private policing partnerships in South Africa, state security provision is increasingly pursued outside the usual institutions of the police, the military or the criminal justice system. I suggest that we turn our attention to the relations formed between these bodies and an extended family of other state and non-state institutions – relations that are often marked by ad-hoc flexible and modular arrangement. Through the assembly of a modular security provision, state security actors seek to reinforce their legal and operational capacities, enhance their maneuverability, and pursue controversial security policies with reduced legal and public accountability.